Moving In With Dementia: Win a Trip to a Live Taping of Iron Chef America! 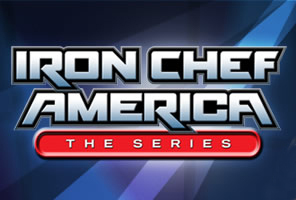 Win a Trip to a Live Taping of Iron Chef America! Part of the annual dinner for the Cleveland Area Alzheimer's Association includes a raffle for a trip to New York City for a taping of Iron Chef America! Anyone, from anywhere can buy tickets and win, you do not have to live in Cleveland, but you do need to act quickly as advanced ticket sales end on Thursday April 21, 2011. Click on the link HERE. Limited number of raffle tickets will be sold! A healthy dose of great food, fun, travel and once-in-a-lifetime experiences are essential for brain health! What better way to feed your mind, body and soul than A TRIP TO NEW YORK CITY FOR A LIVE TAPING OF IRON CHEF AMERICA! The raffle winner and his/her guest will join the ranks of a select group who have been invited to an invitation-only, live taping of IRON CHEF AMERICA. Based upon the Japanese cult sensation, Iron Chef America carries on the legend of the Kitchen Stadium and the famed "secret ingredient." Each week, world-class chefs battle the legendary Iron Chefs of America, including Cleveland’s own Michael Symon, Iron Chef 2007! THIS RAFFLE PRIZE HAS IT ALL! at the Food Network Studios in New York City! July 2011 (exact dates TBD). Questions? Call Eleanor at (216) 231-1332. Tickets may also be purchased at the event. A Celebration of Hope on May 5, 2011.